Note from the husband: You know anyone that is harder on themselves than anyone has a right to be? That’s my wife. She puts a lot of pressure on herself. I think she’s the most amazing person in the world. The other day, I went down to check on the aquaponics and the whole battery/solar panel stuff is trashed. Someone yanked all the wires for the batteries and solar panels. It was up to me to fix it, so I did the best I could. I took tons of pictures to send the guru (husband) and headed to town to get an internet connection to send them off. He walked me through the steps I needed to take to get it up again including a picture of how it should look when I was done. A friend showed up as I was walking out the door so I made him come with me, because quite frankly, batteries and electricity scare me to death. I told him what to do (that comes quite natural for me anyways), and we got it running again. It’s not the perfect set up that hubby left me to care for and I feel responsible for that. While talking to him a few days ago, I realize that I had the friend set the batteries up wrong. Apparently, it was like the batteries were on steroids getting double the juice. Oops. When I went down to correct my mistakes I had to keep telling myself I could do it. All these voices in my head were telling me how I’d messed the system up, and wouldn’t be able to redeem myself. I had to repeat all the things he’d said to me the night before about just doing my best. So I started with step one, which enabled me to go to step two. I realized this was a job for about eight hands with room for one person so I had to leave some of it for later, but it got done. By the end of the night, all three grow beds had been working properly and breaking siphon. I had the battery hooked up correctly, and fixed the post the panel was resting on. It’s not easy, some days are harder than others, but I love living out here and I’m happy to be the kind of wife my husband knows he can depend on to keep things going at home. I can’t wait for him to get home and see what the kids and I have done around here. 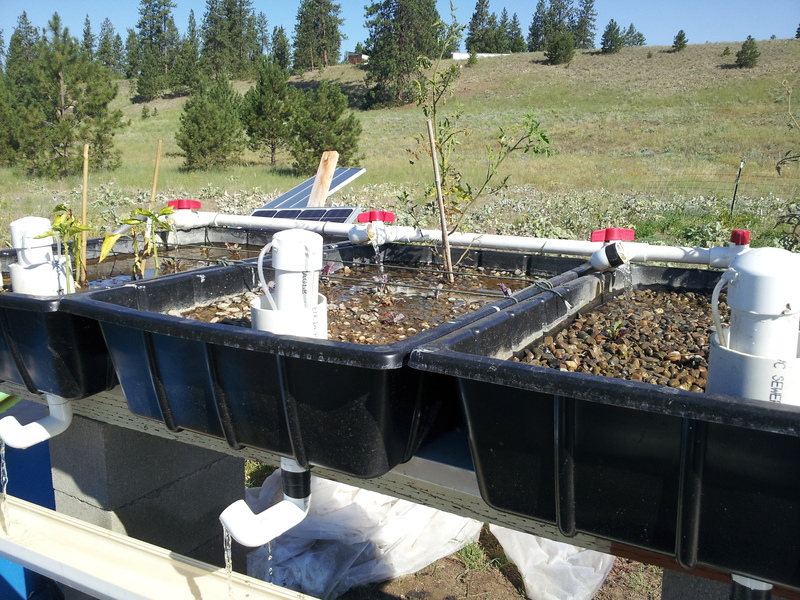 This entry was posted in Aquaponics and tagged aquaponics, grow bed, siphon, solar by admin. Bookmark the permalink.